Reader revenue has been the big growth story at The New York Times, which hit 4.3 million subscriptions at the end of 2018. After a Trump bump, the Times is doubling down on investigative reporting to maintain subscription growth, COO Meredith Levien told Business Insider. She also discussed how the Times is trying to grow subscriptions at high price points, how increased competition for subscription dollars affects the Times‘ business, and its relationship with platforms. 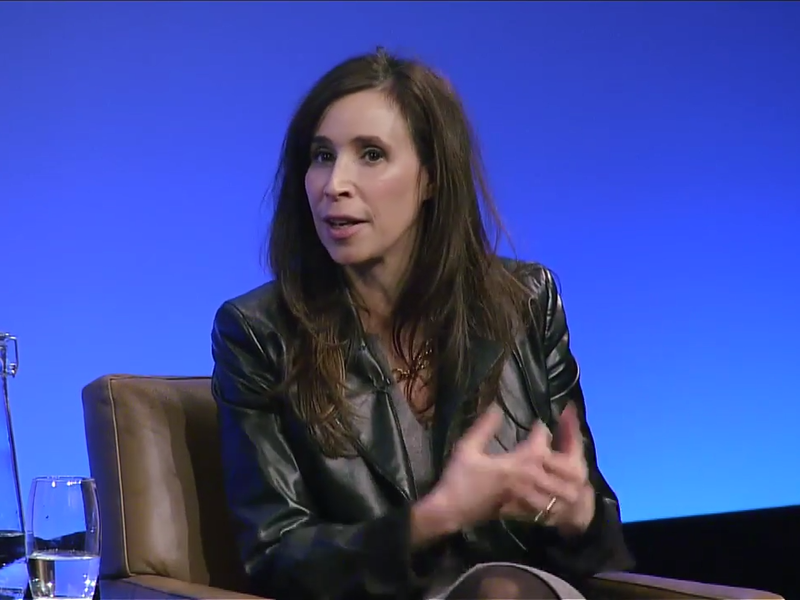 As COO of The New York Times, Meredith Levien oversees advertising and circulation revenue, which has been the big growth story recently. The Times just hit 3.4 million digital subscriptions and 4.3 million total subs, including print, and set a goal of passing 10 million subscriptions by 2025. But while President Trump (who has mocked the paper as the „failing New York Times“) contributed heavily to the growth of the Times and other news outlets after the 2016 election, Levien said the Times is no longer reliant on the „Trump bump,“ as other stories gain attention and it invests in stories no one else is doing. She also talked about getting people to pay at the higher end, the Times’ relationship with distribution platforms, and why she’s not worried about competitors heavily discounting subscriptions. Lucia Moses: The Times got a big subscription boost in part with a $1-per-week deal it’s been running. Is there any concern that people will drop off once the promotion ends? Meredith Levien: We’re about six months into that offer, and retention is pretty good. We don’t publicize our retention rate, but it’s gotten substantially better. We’ve had a number of people come in at 50% off who we had to step up to full price, and that went really well. We’re getting better at how we onboard you and interact with you in the first 90 days. We’re still not as good as the best subscription companies out there, but we’re a lot better than we were, and that gives us confidence we should be able to retain at whatever offer we get people in at. As we get better at the product we’re also making it more valuable. I don’t think there are a lot of places in news where you can say that. Moses: Where does the Times need to get better? Levien: We have three big areas of investment. We added 120 new journalists in 2018 and we will continue do that. Investigations will continue to get a substantial amount of investment. Things like the story of Trump’s family wealth and taxes. That’s the kind of work I don’t think anyone is doing at scale. Everything about how tech is transforming the world and we’ll keep covering that. There’s a presidential election and we’ll continue to invest in how we cover politics. Climate remains a giant story and we see that as a really important area to put fresh investments. We’re making big investments in the customer journey and user experience. From the moment someone hits a New York Times story on Facebook or Google, we’re doing more to explain the access model. We’re putting a lot of energy and thought into our app. That’s not been an area we’ve been focused on. Moses: Trump has been a big subscription driver. How do you think about continuing growth once the Trump era ends? Levien: A couple things. We felt very confident in the second half of the year and at this point that the president is no longer driving our subscriptions. We’re still in a very strong news cycle. Tech, climate change — these are really big stories that are getting a lot of attention. So we feel pretty confident that as we invest in politics and stories beyond politics, we’ll see meaningful engagement at the Times. Moses: Why did the Times set a goal of subscriptions rather than subscription revenue? Levien: The first goal was to double digital revenue in five years. We’re well ahead of that. We’re a $1.7 billion public company, and we need to grow revenue and need a certain amount of profitability to invest in the business. So implied in the 10 million is we will do that in a way that will make the Times a healthy and successful company. Moses: How does it impact the Times’ ability to charge with more publishers getting into online subscriptions and often heavily discounting? Levien: We are making a market for subscription journalism and you don’t make a market by yourself, so it’s really, really good that there are many, many getting into the space. A healthy, ascendant Washington Post, a strong Wall Street Journal are good for a healthy, ascendant New York Times. That said, how do we think about others discounting more aggressively? I think what we do is fundamentally different and worth paying more for. We’ve been much more aggressive with brand marketing than anyone who be considered a close competitor. So I’m not terribly worried about where anyone else prices their subscriptions. The Post has done extraordinary reporting on politics, The Wall Street Journal has done extraordinary reporting on business, but I don’t think there’s anyone other than The New York Times that pursues the truth and does our breadth of work. I’m not sure we have a peer. Moses: You’ve begun dynamic pricing of subscriptions. Do you see a point where you have people paying at all kinds of levels? Levien: We really see room on both sides of the demand curve. We’ve been testing the lower half. That’s worked and reached an audience for whom the price before felt too high. At same time I think there’s a large number of people who would pay whole lot and will pay a whole lot for The New York Times. All-digital access is $125. We have a lot of people who take that. We have people paying over $1,000 a year for The New York Times. I think there are probably people in the world who would pay $100,000 for a subscription because they believe so much in it. It’s a business challenge to identify people who would pay a lot and get it to them in a way that makes sense. We’re putting lot of thought into how to get at the high end of the demand curve. We’ll test higher prices. We’ll put out more product. We keep putting more value in the paper. Moses: What’s working on platforms and where is there room for improvement? Levien: We continue to have productive relationships, with some more than others. We’ve spent lot of money with Facebook, Google, Twitter, building our audience with subscribers. All of that said, we’re most focused on The New York Times as the best place to experience journalism. On Google, we like what they’re doing, the tool set they built with Subscribe with Google. Moses: And Facebook and Apple News, which have or are working on subscription products? Levien: I don’t think we’ll comment on that. We are at the moment most focused on our own model and user experience. I don’t think we’ve talked publicly about whether we’ll participate in [Apple News subscription service] Texture. Apple News, like Google and Facebook and to some degree Twitter, continue to be one of a handful of important sources of people discovering a story first from the Times. Moses: How do you assess the digital news landscape now, which has been dominated by a lot of layoff stories? Levien: It’s really unfortunate and upsetting that we’re losing so many jobs in journalism. I think that is not good for the world. What is going well is: journalism is finding its way into new places in people’s lives. As we find ways to get into stories and find new formats like audio where we can do news in a more narrative, interesting way, I think there’s an opportunity for high-quality journalism to play a bigger role in people’s lives. The Daily is a success for so many reasons but it really invented this new form of narrative news. The format is intimate. The special sauce wasn’t just the story but understanding how the story came to be and the story behind the story. It gives people a sense of how we do the work we do. We’ll keep making The Daily bigger and we’re very focused on what other shows and special events we can launch through it. Caliphate was one example. We’ll do multi-episode specials and grow shows out of audio.